(ED – something misfired, Vero Kern Mito review was suppposed to show up 12 hours ago, but we have no idea why it didnt!) I think it’s not a secret that I think Vero Kern is one of the most talented perfumers out there. No less that Andy Tauer considers her a muse. Up until now, she has had her first three fragrances, kiki, rubj and onda, which were followed by the edp versions, which though different, were equally brilliant. Years have past, which unfortunately in the perfume world is decades, without a new release. Clearly Ms. Kern doesn’t release until she has something to capital “R” release. 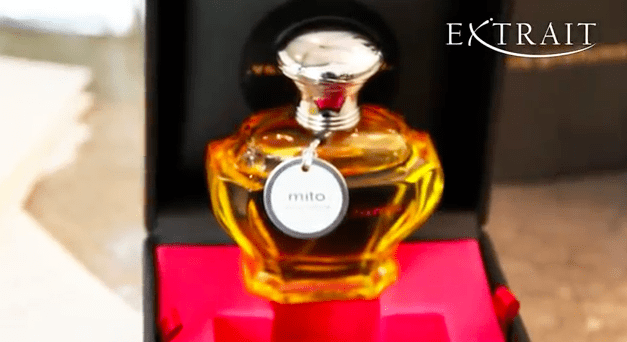 Mito is meant to capture an Italian garden. Since I’ve never been to Italy I can’t comment, but I do think the scent is completely lovely and perhaps the most approachable of her oeuvre. It’s a gateway drug of delicious green citrus opening, all peel and cool mint (although Ms. Kern will tell me I’m wrong again..) with hyacinth, cypress and a light touch of jasmine in the middle with a goodly slug of galbanum in the heart that also goes back to the citrus, this time with the pith. Those notes are played like a harp: crisp and delicate and soothing. Being a Vero Kern creation, it’s many layered in a way that most citrus scents simply aren’t. While this could be a perfect summer scent, I think I’d like it better almost in winter: just at that point where you feel that spring is never going to come a spritz of this puts you in a Mediterranean garden on a warm summer day. That’s a nice place to be.. I don’t know about pricing or availability; I assume Vero Kern Mito will be showing up at LuckyScent and will be priced similarly to the others. My sample was sent by the perfumer. Picture is a screen grab from that interview. Previous Article← Loving Leather – and Giving It Away – NEWSFLASH!!! I agree, I love, love, love Mito. Love the first three, but I think they can be more challenging for someone completely new to the line or niche perfumes. Yeah, they can. I love them all, but Mito is a clear winner. This is one that I have been looking forward to. I love all of her scents. The term “brilliant” is overused, but in her case it’s really the only proper adjective. I’ve actually never tried any of these perfumes. I keep meaning to order decants but it’s always something else that I get sidetracked with. Looks like I am going to have to get some into my shopping cart before I forget. I also think she’s a quite gifted perfumer; and Rubj is one of my all time favorites. Can’t wait to sample Mito, which sounds absolutely lovely. I appreciate a perfume line that isn’t overwhelming – the progression of three great fragrances in edt, to edp versions with some significant and lovely changes, to a single new scent is laudable, in my view. Hi, Tom! I’ve been eagerly awaiting this one as it sounds like just my cup of tea. Although I appreciate and admire her first three, Kiki was the only one that worked on me, so am hoping this one is da bomb! I believe it was your enabling that led me to Vero, and she is one of my favorite perfumers. I am an old-school galbanum/hyacinth ho, too, so this will probably be a FB purchase for me. Darn you. Sorry kid, I think you’ll love this one. It’s gorgeous..
Color me excited – I’ve been really looking forward to trying this, since I’m another old school galbanum/hyacinth ho! Something that can transport me right into spring during the winter doldrums would be precious, indeed. *could* transport. I’m a typo terror! You know, we don’t *really* get winter here like I did back East but I still think it holds true. Even if I needed an instant lift going into a meeting full of wintery bores I could give myself a fast spritz of this under my shirt and let the sunshine radiate..